Pillow Academy parents got a firsthand look at the fruits of their donations during a presentation at the school’s new science lab Tuesday evening. The new facility is part of the second phase of a three-phase school improvement effort funded by private donations, mostly from Pillow parents. “You’ve given unselfishly of not only your time and your talents but your finances, too,” Jay Watts, headmaster of Pillow Academy, told parents. Other phase-two improvements include cost-efficient LED lights throughout the building and a 9-inch increase in the ceiling height. The lab features several large work desks, each with ample room for three or four students to carry out chemistry experiments or write lab reports as the need arises. The lab is centrally located to be easily accessible. The heights of the work desks can be adjusted by remote control to make them comfortable for students of all ages and heights. The faucet and gas nozzles are equipped with two types of handles for maximum accessibility. The entire facility is compliant with the Americans with Disabilities Act. Other lab amenities include special chemical storage spaces for acids, bases and flammable materials, as well as an incubator, a fume hood, an emergency shower and eyewash facilities. Under the oversight of Robert Upchurch, work on the lab began in mid-May and was finished just a few months later when school started back up for the fall. The facility was custom outfitted by Sheldon Laboratory of Jackson. Science teacher Marietta Branch thanked parents profusely. “This is something you dream about, but you never really think is going to happen,” she said. Branch said the facility had been put to use almost every day since it was finished a few weeks after school started. 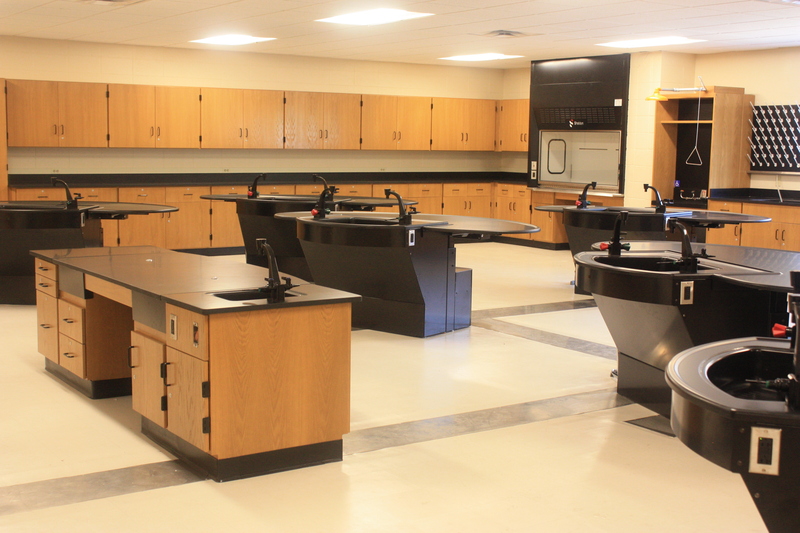 She also said the layout of the new room, which includes cabinets specially designed to the science department’s specifications, has made lab preparation much easier. Pillow Academy senior Alton Wood vouched for the new lab, saying it was a good learning environment. “It’s a lot more engaging, and you want to learn a lot more,” said Alton, who is enrolled in AP Chemistry. Floyd Melton III briefly addressed the assembled parents to thank them for their donations and to ask for their further assistance to enable the phase of school improvements, which will focus on enclosing Hardeman Hall in a brick or stone facade. Melton says the new facade will save a lot of money on utilities by providing better insulation.